a ski that incorporates the structured construction with a wooden core and double titanal models more "corsaioli" but with more generous measures (width of the major ski) and rocker both in tip and tail so as to make it agile and stable therefore perfect for any conditions winking at the off-piste (not deep snow) and transformed snow. A racing car for the advanced skier who wants a ski only but always up to par. 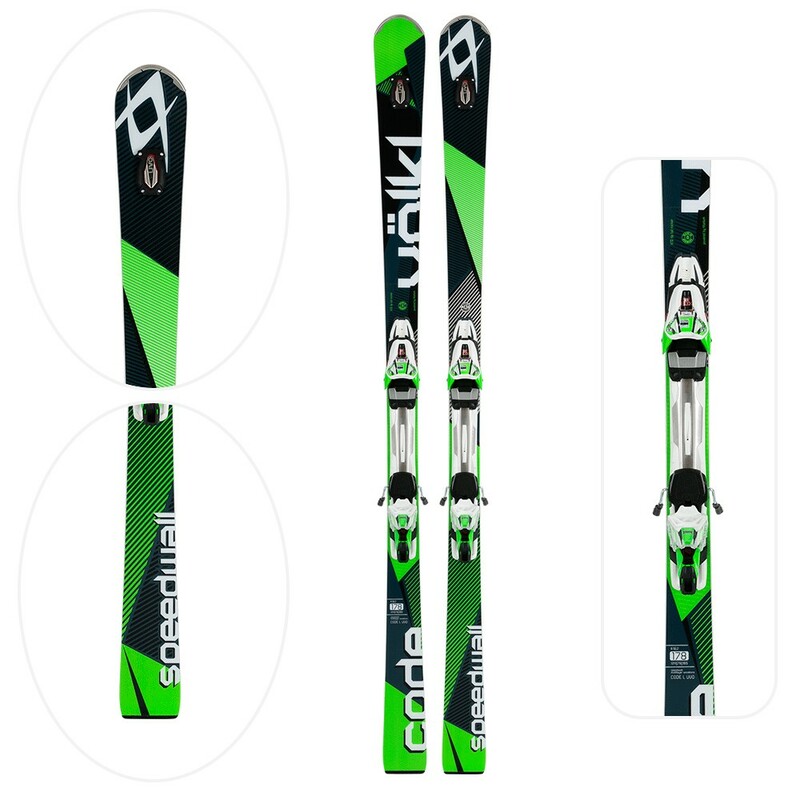 The CODE SpeedWall L is wider than normal track skis, with the perfect setting for great skiing and fun days. The SpeedWall is reinforced thanks to the wooden core, the rMotion2 attachment is equipped with the MArker XCell component. This ski is the last frontier of speed!